(By Mark T. Jones) - The news that leading Somali entrepreneur Mohamed Mahamoud Sheik has been gunned down and killed in Mogadishu is thoroughly depressing. Not only are family and friends mourning the loss of a remarkable individual, there is reason for Somalia and the wider Horn of Africa to grieve the loss of someone who in his short life had worked to change perceptions and misconceptions. Here was a Somali who whilst being tremendously proud of his heritage, realised how important that it was to strive to bring about positive change. A key aspect of this change being to help create opportunities for others in the form of jobs. Unemployment and under-employment have long blighted lives in Somalia and further afield, and entrepreneurs play a pivotal role in creating an environment that generates new jobs that help sustain lives, families and even entire communities. Mohamed Mahamoud Sheik will be best remembered by many as being the young man behind Somali Premium Laundry This was a business idea that not only attracted interest internationally for the apparent novelty of such a business venture in challenging times, but in some respects became symbolic of Somalia having turned a corner towards a degree of normality. Mr Sheik ensured that he did his research, both in terms of potential market and in respect of sourcing the right equipment internationally. Such was his drive and positivity that soon the likes of Mary Harper of the BBC were seeking him out to discover more of his inspiring story. Not content with one business, ever the entrepreneur, Mohamed Mahamoud Sheik soon spotted other opportunities, and ran them. Amber Gardens & Florists championed real plants and flowers, a business that has helped Somalis fall back in love with real flowers and plants. The best entrepreneurs invariably have a restless energy, they not only get things done but are also generous with their time and ideas. Having been fortunate to have had opportunities to travel and study abroad Mohamed Mahamoud Sheik was keen to put something back. 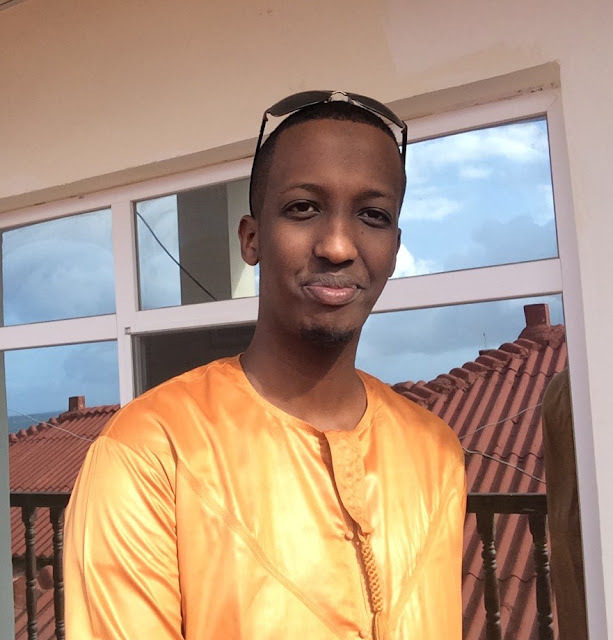 He was immensely proud of his heritage and was ever eager to help others discover something of the real Somalia, one that took them beyond jaded stereotypes. Mr Sheik readily embraced the opportunity to be a regional representative of the Horn of Africa Business Association, a role that saw him offering sage advice and helping to address the knowledge deficit with regards to the Horn of Africa in general and Somalia in particular. His TEDx Mogadishu talks inspired other young entrepreneurs and helped to foster a positivity in respect of entrepreneurial activity that will long be part of the legacy that no assassins can silence. Anyone who has ever visited iRise Hube (http://irisehub.so/) - of which he was an enthusiastic supporter - will appreciate the tremendous positivity and hope that continues to shine forth in Mogadishu, often against the odds. Mohamed Mahamoud Sheik was rarely happier than when in the company of fellow entrepreneurs and innovators. As the driving force behind Startup Grind Mogadishu (www.startupgrind.com/mogadishu0) he has ensured that others have an important platform to share ideas and network as never before. Life goes on, and Somalia and its people will not allow evil to triumph. Those who were privileged enough to have met or known Mohamed Mahamoud Sheik will appreciate that his death is yet another senseless tragedy. Family and friends are left grieving and a nation has lost yet another young talent for no apparent reason. Such an inexplicable loss numbs the senses. Sadly, Somalia is no stranger to such killings, it isn’t the first and it is unlikely to be the last. Whilst some will cast around for answers, it is important to take some comfort in a life that whilst short was one of positivity and purpose. Mr Sheik endeavoured to serve his nation as best he could, and in so doing helped others begin to see things differently. His quiet and modest manner won him friends and admirers at home and abroad. He will be mourned from Arusha to Dubai, and London to Nairobi. He knew the challenges and risks that Mogadishu can present, and yet it was to Somalia that he always returned with gladness in his heart. His family and friends remained a daily inspiration, and now that his earthly presence is no more, there are many who have reason to be grateful for his example and friendship. During Mohamed Mahamoud Sheik’s regular trips to Tanzania he developed a deep appreciation of nature, he adored the jacaranda tree (Jacaranda mimosifolia), so may be one thing that could be done to commemorate his life is that a conscious effort be made to plant more trees and shrubs to brighten a Somalia made gloomy by his passing.